What’s behind the dark charisma of ‘Son of Saul’ star Geza Rohrig? 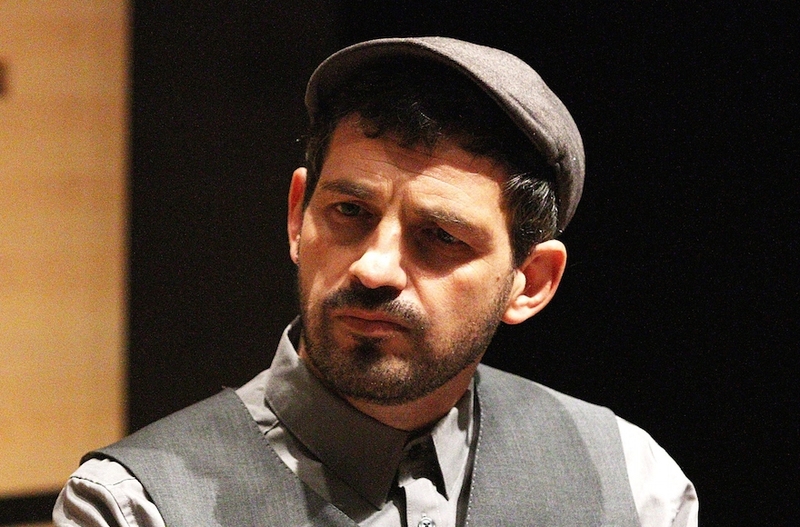 BERLIN (JTA) — When the Hungarian-Jewish poet Geza Rohrig agreed to play the lead role in the Oscar-nominated Holocaust drama “Son of Saul,” he knew he was taking on a daunting challenge. With very little acting experience, Rohrig, 48, agreed to portray the complex lead in a shoestring production by a director who had never before made a full-length feature. Two years later, Rohrig’s haunting performance is widely considered to be a decisive element of the film’s success. “Son of Saul” won the Grand Prix at the Cannes Film Festival in May and the Golden Globe for best foreign film in January. And it is favored to win the same category at the Academy Awards ceremony on Feb. 28 in Los Angeles. In an interview with JTA last month in Berlin, Rohrig, an orphan who was adopted in childhood by a Jewish family, said he dove into his obsession with the Holocaust and his own tragic family story to find the intensity and sensitivity he needed to get into character. “The acoustics that informed my portrayal of Saul, they came from inside me,” said Rohrig, a thin man with an intense gaze and raspy voice. In the film, Rohrig plays Saul Auslander, a childless Sonderkommando charged with the gruesome task of ushering prisoners into the gas chambers and disposing of their bodies afterward. Saul is resigned to his own eventual death until he confronts the body of a boy he never met yet considers his son. He becomes consumed with a passion to bury the boy, repeatedly risking his own life and those of his fellow inmates and rendering hopeless a rebellion they had spent months planning. To connect to Saul’s character, Rohrig revisited his own family tragedy. Orphaned as a child — his father died when he was 4 and he declined to discuss his mother — Rohrig was placed in a Budapest children’s home, where he lived until his adoption by a Jewish family at age 11. Rohrig first learned of the Holocaust from his adoptive grandfather, an Auschwitz survivor who lost his brother at the death camp. Later, as a teenager studying in Krakow, Poland, some 30 miles from the camp, Rohrig spent hours at Auschwitz. Though he was raised secular, Rohrig became religious at 21 while studying in yeshiva in Jerusalem. Today he lives in New York and is religiously observant, wearing a yarmulke and eschewing work on the Sabbath. “Son of Saul,” which was filmed in one month on a set near Budapest, was not shot on weekends for this reason. It was a constraint that the director, Laszlo Nemes, had taken into account before offering the part to Rohrig, whom he had met at the home of a mutual friend in New York. A former kindergarten teacher and the author of six volumes of poetry and one of short stories – all in Hungarian – Rohrig has written about the Holocaust and Auschwitz. But the film does not offer him a chance to showcase his eloquence. While deeply morbid, “Son of Saul” is not very graphically disturbing. The carnage in and around the gas chambers remains mostly out of focus and serves as a soft background for long shots of Rohrig’s face as he carries out his daily routine. With so little dialogue, Rohrig had to rely on body language and facial expressions to convey Saul’s hopelessness. To do that, Rohrig plugged into his own deep pessimism about the world today. Though he is happily married to his second wife and a father of four, Rohrig repeatedly spoke of his sense of foreboding over coming global upheavals. When nearly half a million Syrians are slaughtered while the world stands by, Auschwitz is not merely history, Rohrig said. Despite the bleak outlook, Rohrig said he was able to draw from happier moments of his troubled biography as well. Asked why Saul, who unemotionally herded countless Jews to their deaths, suddenly becomes so moved by one boy, he thought of his own adoption as a child.